Welcome to this wonderfully sized, well maintained beauty in Bella Vista! Central to the neighborhood, backing up to wooded space, you can enjoy the golf course living, (and discounts) without dealing with the early morning foursomes. 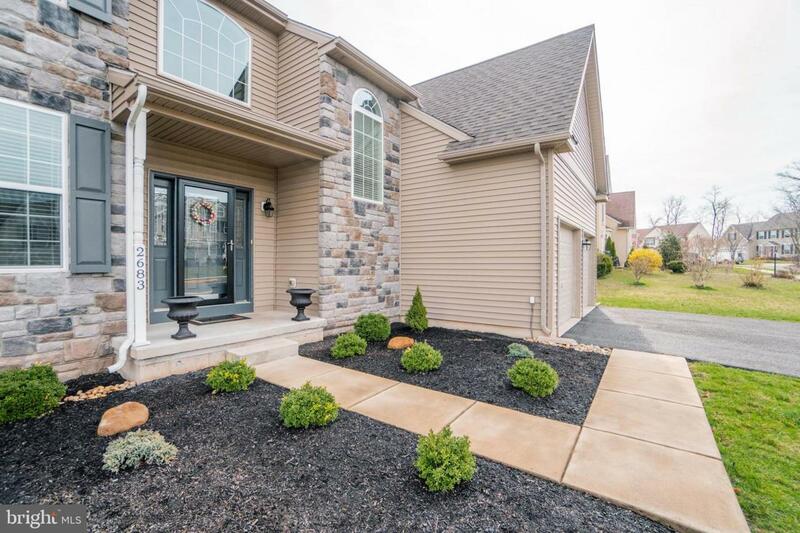 Enter this home and you will love the gleaming hardwood floors and spacious two story foyer. The laundry room is HUGE and helps keep the home clean and tidy with built in cabinetry and organizers. The kitchen boasts stainless steel appliances, granite countertops, two tiered island, natural stone backsplash and eat in area. Sliders lead you to the trex deck that overlooks a wonderful fenced in yard! Open floor concept with Kitchen opening onto family room with gas fireplace. Behind the kitchen is a separate office with natural light, and dining room with chair rail and crown molding.Basement is fully and recently finished! Beautiful wet bar with quartz countertop will entertain friends during those Sunday football games! Built in shelving and durable hardwood laminate throughout this finished space which adds an additional 700 square feet! Dry pantry area or great workout space, or additional finished office. Many uses for this separate space. Storage area, water softener, do nothing but move right in! Upstairs, enter the master suite thru the double door entry, and love this HUGE master bedroom. His and hers closets (both with built in shelving), grand master bathroom with soaking tub. 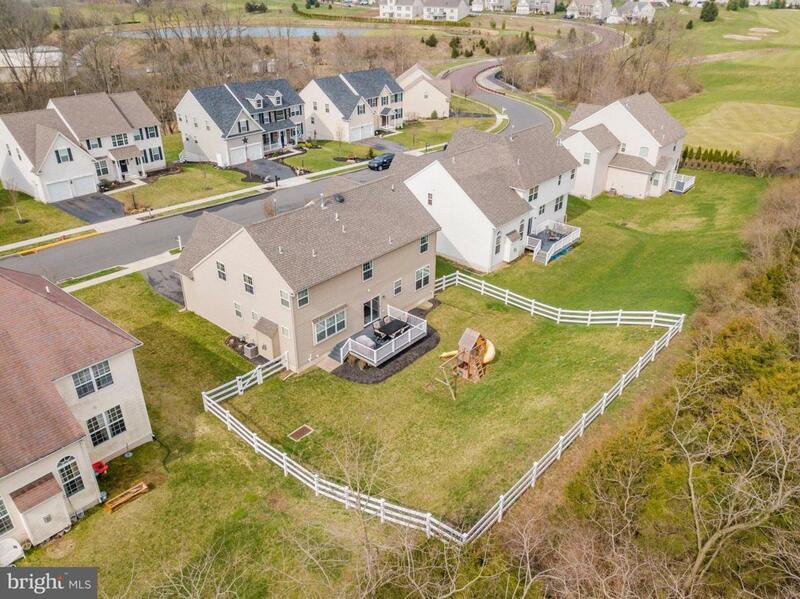 Cross the catwalk to the three additional bedrooms with ceiling fans and plenty of closet space, plus a separate hall bath.Enjoy this low maintenance, well maintained and updated home in a golf course community! Central to shopping, Routes 100 and 422, dog parks nearby, many recreational areas for the outdoor enthusiasts. Don't miss your opportunity to tour this home today!